Chennai, Sep 19 (IANS) Uppalappu Srinivas, who was known for playing rare ragas on mandolin at his concerts, never played a false note in his illustrious career. His death Friday morning at the young age of 45 came as a jarring note and shocked the Carnatic music world, music lovers, his fans and others. Popularly known as Mandolin Srinivas, he was admitted to a private hospital here sometime back with liver problem and underwent a liver transplant surgery, hospital officials said. The musician’s career was dotted with many firsts. For instance, it was Srinivas who gave mandolin – a western instrument – a permanent status in the Carnatic music world. As a six-year-old boy, Srinivas would play his father Satyanarayana’s mandolin. His brother U. Rajesh is also a noted mandolin player. 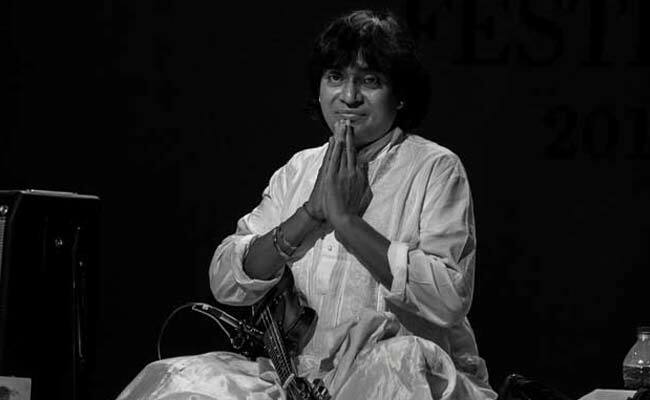 A world renowned musician, Srinivas gave his first public performance in 1978 in Andhra Pradesh when he was only nine. Three years later he performed at the Madras Music Season for the Indian Fine Arts Society. It is said when Srinivas was a young boy playing games with his friends near his home, his parents would cajole him to perform at a concert. On the stage, Srinivas would be a smiling musician right from his childhood till his death. The family moved here as the city is considered the capital of Carnatic music with its music season. Soon he started making waves in the music circuit. The little boy with a permanent smile on his face playing a Carnatic music with a western instrument became the talk of the music world. With thavil – a drum instrument – as an accompanying instrument Srinivas caught the music lovers’ attention and awed them by playing the tough notes/ghamakas. In 1984, late Chief Minister of Tamil Nadu M.G. Ramachandran made Srinivas the official musician of the state government. He was the first South Indian musician to perform at the Cevantino Festival in Mexico in 1987. Srinivas’s kitty was full of prestigious awards. In 1988, he was awarded Padma Shri. In 2010, he was honoured with Sangeet Natak Academy Award. He was also the recipient of the prestigious Sangeeta Ratna, Kalaimamani and many other awards. He rendered performances with Western artists like Michael Brook, John McLaughlin, Nigel Kennedy, Trey Gunn, Michael Nyman and others. Srinivas also performed with Hindustani classical musicians like flautist Hariprasad Chaurasia and table maestro Zakir Hussain. One of the notable aspects of Srinivas was that he often played some of the rare ragas at his concerts. “The Antholika raga he played in 1988 at a concert was in my ears for more than 10 days. Not many musicians would play that raga in an elaborate fashion,” S. Sivaramakrishnan, a music lover, told IANS. Very few musicians have the name of the instrument as a prefix to their own name and Mandolin Srinivas was one of them. On personal front, the mandolin maestro suffered a failed marriage, which ended in divorce. His wife won the custody of their only son. In his life he had set up the Srinivas Institute of World Music. Srinivas is survived by his father and brother U. Rajesh.